← Corruption Part 2: Why Do We Continue to Tolerate Dishonest Leadership? Call for Entries: A Travel Guide to Your City! Hello, Rustifarians! We at Rust Wire have an assignment for you, should you choose to accept it. We’d like to put together a series of travel guides to Rust Belt cities, written by those that know them best: you guys! We’re looking for something vaguely along these lines: your favorite local spots, with a little bit of your personality thrown in. Be creative! Tell us what are the best spots in Buffalo, in Detroit, in Pittsburgh. Where do that locals — the hip, avant guarde blog reading locals — hang. Email your entries to rustbeltnews[at]gmail.com. Because, let’s face it, this blog is a lot better when it’s not just me bitching about Cleveland. For a rough example, check out this travel guide to Cleveland I wrote for Columbus Uuderground. Greetings, Columbusites from your neighbor to the north, the land of the burning river, of legendary sports heartbreak, where they fry potatoes in little dumplings and call them pierogies. Yes, Cleveland is a proud and colorful city. While it’s definitely seen its share of setbacks, namely the loss of industry as well as 50 percent of its population, there is an important, lesser-known fact about this city: it is a fun. Yes, people in Clevelandtown know how to get down. Maybe you’ve heard, Cleveland doesn’t generally perform well on lists. But one list that doesn’t get around as much play as some others is a 2010 Portfolio Magazine story listing the 100 funnest US cities. There, Cleveland scored a respectable 23rd, ahead of San Diego, Las Vegas and Nashville. When we are done with this tour, you are going to see why. The whole time I have been living in Cleveland (almost 3 years) I have been dying to stay at the Hyatt at the Arcade. But I haven’t because, ya’ know, I live here. Anyway, the arcade is my favorite architectural gem in the city. It was one of the first enclosed malls of a sort in the country. 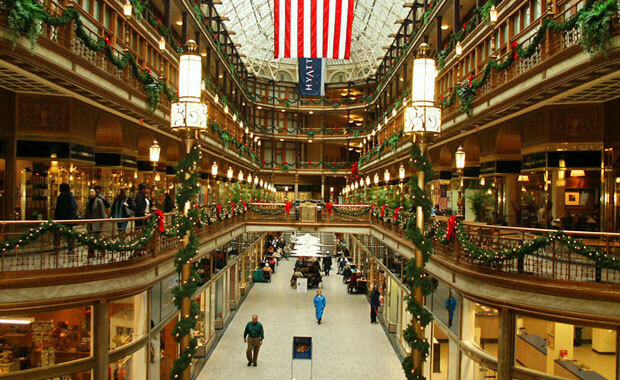 The original purpose of arcades was to add additional retail space in downtown off the congested sidewalks (no longer a problem in Cleveland. We have almost no sidewalk traffic or downtown retail anymore). The Hyatt is also conveniently located right next to the East Fourth Street entertainment district and right by the Cavs and Indians stadiums. It is directly downtown, prime territory for sports fans. 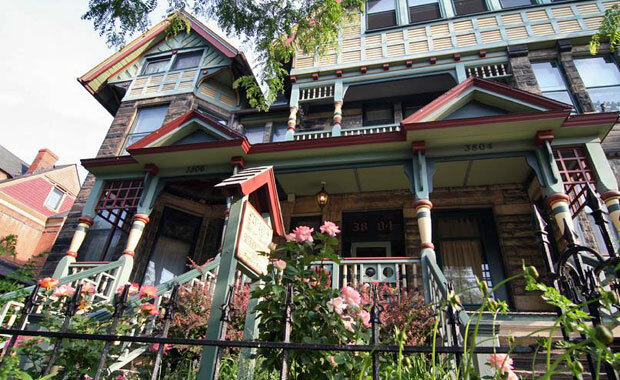 If you’d rather stay in a neighborhood (Cleveland is a city of neighborhoods, it is often said), there are several fine bed and breakfasts in the historic Ohio City neighborhood. These homes are really old and may, or may not, be haunted – you have been warned! Ok, now that you’re snuggled up in Ohio City or Downtown, you are going to need something to occupy yourself with. Let’s say, hypothetically, it’s Saturday morning and you are trying to sleep off a hangover. That will never do! You are in Cleveland! Pull yourself together and rush down to the West Side Market. 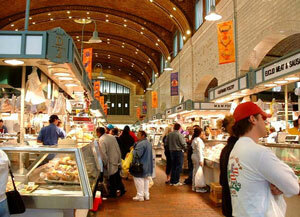 The West Side Market is a must-see for any visitor to Cleveland. This is where you can find gourmet cupcakes, tri-colored quinoa and fresh oxtails all under the same glorious roof. The West Side Market is one of the oldest publicly owned markets in the country and it is filled with family-run businesses whose products will make you sorry you ever set foot in a Giant Eagle. Make sure you go on Saturday before 4 p.m. though, because they’re closed Sunday. So hypothetically speaking, it’s still Saturday afternoon, because you didn’t sleep all day. Now you have some time to kill. If it’s a nice day, head to the Tremont neighborhood and browse the shops and bars. Check out Banyan Tree boutique, Visible Voice Books and try Lucky’s Cafe if you’re in the mood for some life-changing but semi-pricey brunch (just arrive early or be prepared to wait). At this point you may be hungry. My recommendation is that you head over to Little Italy, a long walk, or short bike ride, away. The major attraction in Little Italy is the food, and you really can’t go wrong with the choices on Mayfield Road. My personal favorite is La Dolce Vida ($$), which can’t be topped in the atmosphere department. Even if you’re not hungry for a whole meal, stop into Corbo’s Bakery and try the pizzelles. 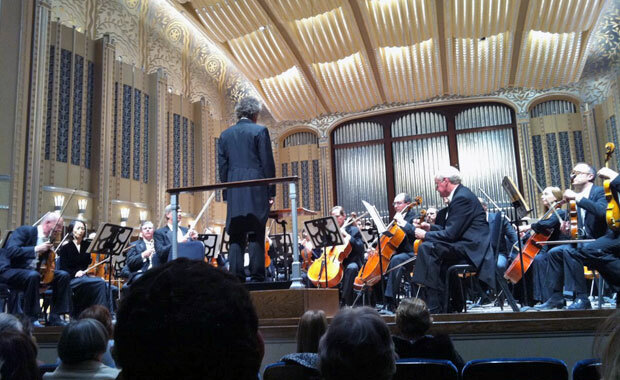 If the Orchestra’s not your scene but you’re still into the arts, Cleveland has a pretty fantastic performing arts tradition in general. I would also recommend checking out a performance at the art house Cleveland Public Theater, in the up-and-coming Detroit Shoreway neighborhood (my neighborhood!) If you happen to be in this area, swing by Sweet Moses old-fashioned soda shop afterwards for a sundae, or have a beer at divey but friendly Parkview Niteclub (featured on the Food Network’s Diners and Dives) or Stone Mad. If you just hate the arts altogether, it’s ok; catch an Indians or a Browns or a Cavs game. Tickets will be easy to get (because, I don’t know if you’ve heard, they’re generally lousy). But you will cheer with the crowd, you will eat hotdogs and drink overpriced beers, and when the team inevitably lets you down, you will know just a thimbleful of the ocean of heartbreak that afflicts Cleveland sports fans. If you are at the Cavs especially, after the game check out the East 4th Street Entertainment District, which is the heart of the city’s talked-about “foodie” scene. Recommended: Michael Symon’s Lola ($$$$) or Greenhouse Tavern ($$$) or I even like Saigon ($$), which is owned by the same people that own the city’s most beloved restaurant, #1 Pho. 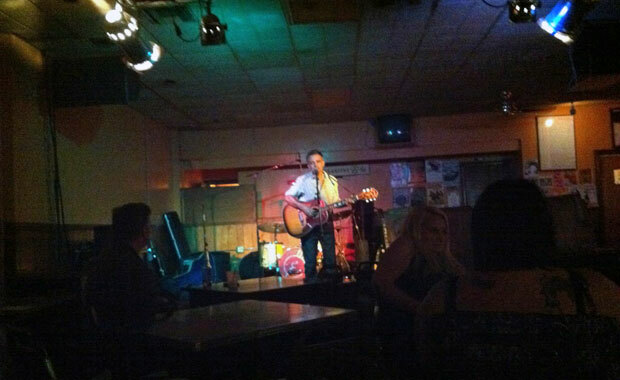 If you are more of a music person, you should go to the Beachland Ballroom and Tavern in the Collinwood neighborhood. National experts agree, this is one of the best music venue in the country. Beachland was, at one point, a Croatian Ballroom, and it still has hand-painted murals of joyful, dancing Croats all over the walls in the larger venue, the Ballroom. All the great acts have played there. My preference, actually, is the smaller, adjoining Beachland Tavern, where the up-and-coming bands play. This is everything a small music venue is supposed to be. It looks like the place Johnny Cash would have played his first show, if his first show was in an awesome Texas honkeytonk in the 1950s. Bonus: the Collinwood neighborhood has a vibrant arts scene and a ton of neat boutiques, record stores and galleries along Waterloo right next to the Beachland. So that was a totally ridiculous day, right? You are going to be worn out. I have one final recommendation. After you wake up Sunday, weather permitting, head over to Edgewater Park on the west side and visit Lower Gay Beach (don’t ask me why it’s called that). You’re going to have to ask someone in the park to point you the way. Lake Erie is an old soul and she lives in the heart of every Ohioan. It is important you pay your respects by sitting there for a moment or two in awe of her sheer mass and quiet, steady nature. Next time you are running the faucet, remember how fragile she is and how much she is depending on you. There you have it, Columbusites: the hard-fought wisdom of someone who has lived in Cleveland for three whole years! I am confident you will enjoy your trip and you will be a more interesting, well-rounded person as a result of the experiences you have had here.